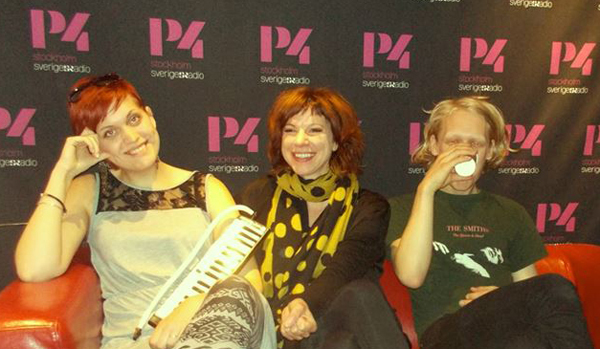 Irya’s Playground will play at Malmöfestivalen August 20!!! The festival is free! See you there!!! Thanks for your support! 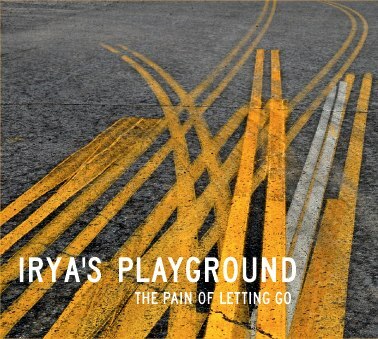 Irya’s Playground is nr.13 this week on the Swedish album chart!!! Ikon gives 4/5 “The pain of letting go” is the band’s second album. The music is pop, where especially synths and guitars blend into an interesting and moderately varied soundscape. All performed in calm pace. It’s dark, melancholic and melodic. The variation is their strength. WOW!!! 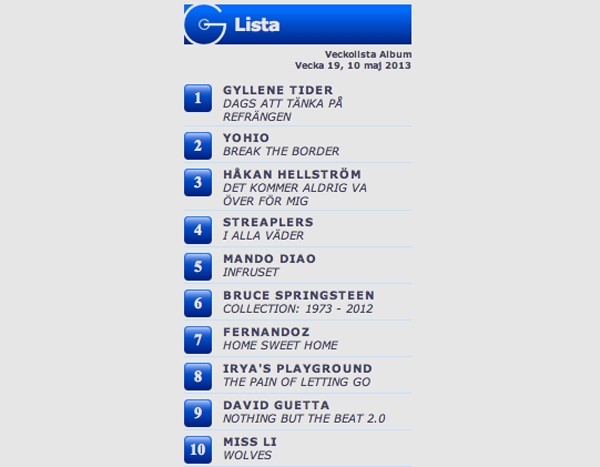 Irya’s Playground is nr.8 this week on the Swedish album chart!!! 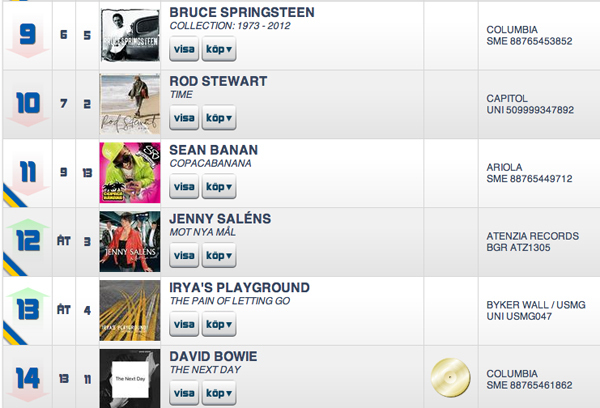 For the third week in a row, Irya’s Playground is still at top 10 on the Swedish album chart!!!!!! 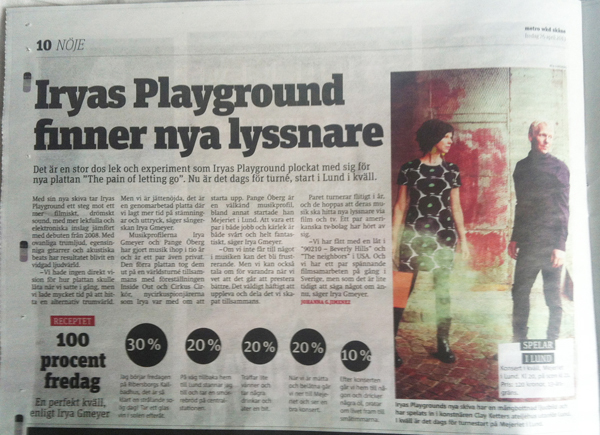 Two articles about Irya today in Gävle – Gefle Dagblad and Arbetarbladet! You should write a book about your life! That question Irya’s Playground often gets.